Last July, the Philippines received about 6,500 tons or 51 containers of plastic waste from South Korea. The heaps of garbage were first discovered in October at the Mindanao Container Terminal in Misamis Oriental where it was revealed that the consignee, Verde Soko Phil. Industrial Corp., misdeclared the shipment to contain mere synthetic plastic flakes. However, authorities also found an array of garbage in the shipment including wood, metal scraps, diapers, and dextrose tubes. 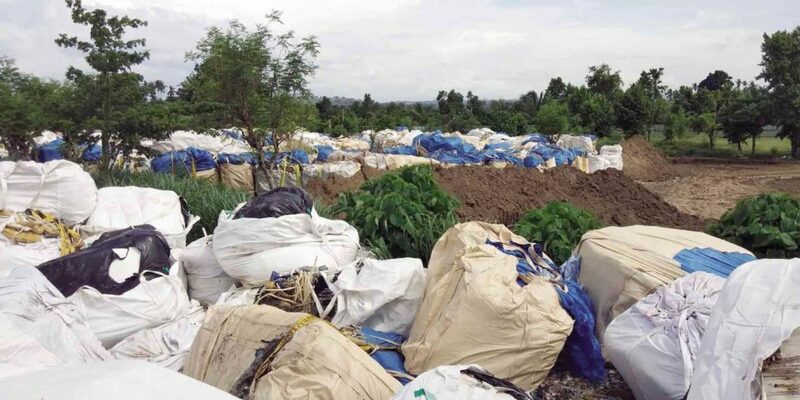 Environmental advocacy group EcoWaste Coalition condemned the illegal shipment saying that the initial declaration was just used as a guise to dump their garbage in the country. But following an agreement between South Korea and the Philippines just a few weeks ago, the garbage is now scheduled to be shipped back to South Korea on Wednesday, Jan. 9. The government of South Korea has vowed to not let an incident like this happen again. While the South Korean government’s quick response is commendable, it brings light to a greater issue that dates back to 2013. The Canadian government, despite previously promising to bring an end to the problem, has yet to take more than 100 container vans of garbage back to its shores. The question of who will pay for the reshipment still remains at large. The staggering amount of garbage containing plastics and household items were illegally dumped in the country by a Canadian company using the same false front of recycling. In his recent trips to the country, Prime Minister Justin Trudeau said that Canada is committed to find a solution to the issue. The legal barriers that prevented the garbage from being returned to their country, according to Trudeau, are cleared. But up until this day, the piles of garbage sit on a sanitary landfill in Capas, Tarlac. It was just last November when a news report revealed that the Department of Environment and Natural Resources has met with representatives of the Canadian embassy to discuss the issue. Undersecretary for Solid Waste Management Benny Antiporda said that the meeting ended on a “positive” note but the exact date of when the garbage will be returned is still uncertain. It’s been almost six years since the incident happened but the latest events showed just how slow the process is. Stricter laws that prohibit the entry of imported garbage have yet to be enacted. Our hands are tied here. The Philippines is already named as one of the biggest ocean pollutants in the world, but what would it take for the government and other agencies to treat this problem with great urgency?